Reflective roof coatings provide excellent benefits due to their ability to reflect the sun’s heat away from the building. 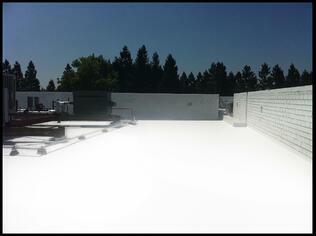 This article will focus on the importance of reflectivity; however, keep in mind that choosing a reflective roof coating system over traditional roofing also saves building owners and facility maintenance managers time and money and these coating systems provide contractors with ease of installation. 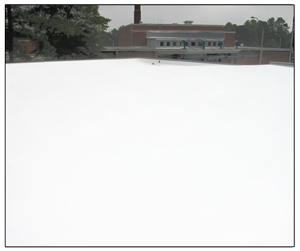 You can get a roof coating system that meets and exceeds rigorous standards set by ASTM, AIA, FM, ICC-ES, UL, ENERGY STAR, CRRC, Miami-Dade County and LEED. Click here for the AcryShield product line list of credentials and ratings. Decreases roof surface temperature by more than 50˚F according to an article the US Department of Energy wrote, Guidelines for Selecting Cool Roofs. Prevents and protects against premature degradation and aging caused by high surface temperatures on the roof - fun fact - the sun’s heat is the #1 cause of premature roof failure. 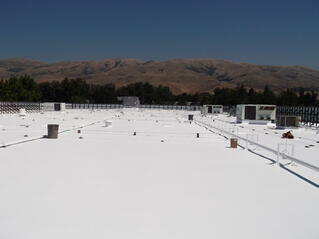 Learn more about reflective roof coatings; download our Free Guide to Roof Coatings – Cool Roof Buyer’s Guide.